"One-night stands are awkward. 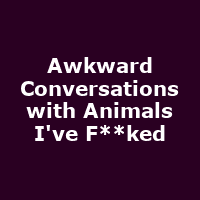 One-night stands with animals are more awkward. And when you?re as desperate to please as Bobby, things get awkward as f*ck. He?s just a guy with too much love to give, and a burning desire to give it to consensual adult mammals."